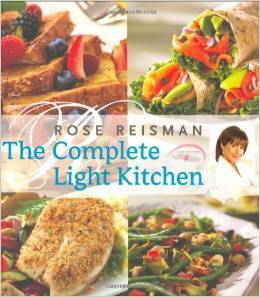 Rose Reisman is one of today`s leading authorities on the art of eating and living well. She has had a long, illustrious career as a chef, author, motivational speaker, columnist and TV personality. Over the years Reisman has shifted from simply appreciating delicious food to valuing dishes that combine exceptional taste with nutritional benefits. Epidemics of obesity, heart and stroke disease and type 2 diabetes are sweeping North America. As health standards plummet, Reisman has stepped in and become a spokesperson and leader in light cooking. Her recipes explode with flavor, not with fat and calories.